The Chicago Blackhawks will have only one representative at this year's NHL All-Star Game. 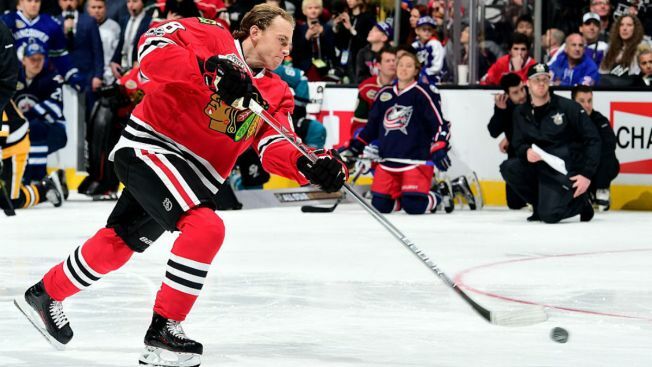 The NHL revealed that winger Patrick Kane will be the lone player from the Blackhawks on this year's squad. Kane, who has 18 goals and 27 assists this season, will make his seventh appearance in the game when he heads to Tampa Bay. The Blackhawks had four players named to the game last season, a league-high. Kane will be joined by a pair of Nashville Predators, as PK Subban will serve as captain for the Central Division team, and Pekka Rinne will man the net. The Winnipeg Jets, St. Louis Blues, and Dallas Stars also have two representatives apiece, and the team will be coached by Predators head coach Peter Laviolette. The All-Star Game, which will feature a 3-on-3 tournament, takes place on Jan. 28 and will air on NBC.